Hi, it's been awhile, I've been so busy with university recently that I haven't had time to post, but here I am. I know it's late but these were some pictures from my October Challenge. The rules were that I had to pick a type of monster so I picked Skeletons, so I had to draw thirty-one different skeletons with 31 of my characters. I sadly failed the challenge as I had a list for 31, I had drawn 11 and only finished 6. 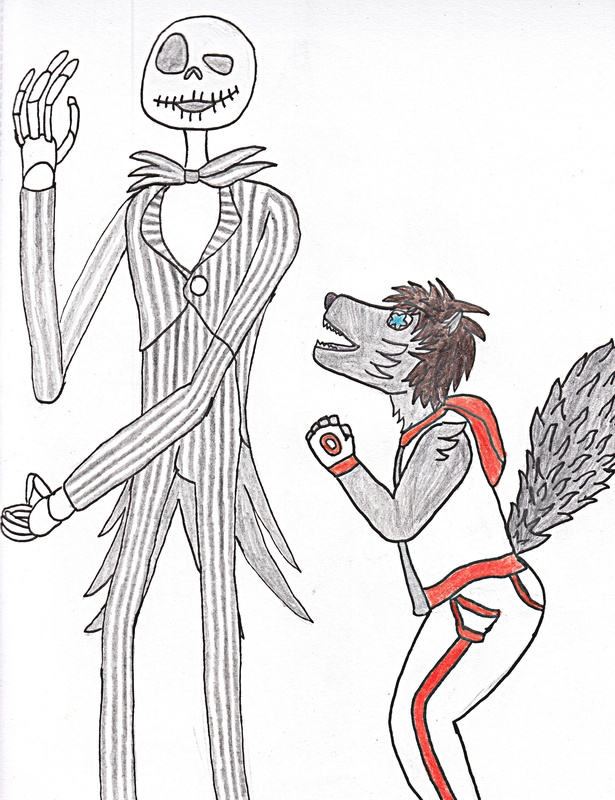 Here's my first of Jack Skellington and my character Dan Wolf.